One thing I have in abundance in my Island kitchen is dried seaweed. I probably chose an olive brown seaweed jar (Ascophyllum nodosum) in a Christmassy, warm spice frame of mind. Most seaweeds mellow when cooked. 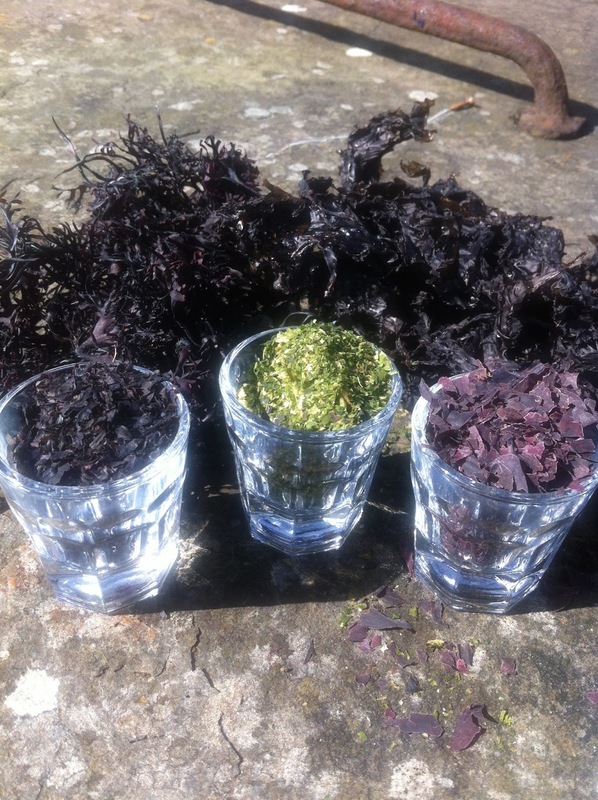 The knotted wrack which was harvested on the neighbouring Isle of Lewis, is very finely ground and so texture possibly influenced my choice too - Doctor Seaweed kindly sent me a sample pack to trial in my Christmas recipes. One of my most colourful recipes in Seaweed in the Kitchen lends itself to Christmas. This ruby red and flecked emerald green dessert is much much lighter than the traditional steamed pud or mince pie and can be made in advance. It’s refreshing and has the merest hint of the sea – adding seaweed to ice-cream or sorbet softens the weed’s flavour. Seaweed and ice-cream is of course a well tested partnership - carrageen is used as a stabiliser in commercial ice-creams. I chose sea lettuce for its emerald sparkle but any of the Ulva spp. will sprinkle and sparkle green. The Ulva spp. can bully but when baked or churned in an ice-cream machine the flavour is really very hard to place. On the Outer Hebridean Isle, where buying fresh pomegranates or juice can be tricky, I often substitute frozen raspberry juice. Cranberry juice works in this sorbet too. 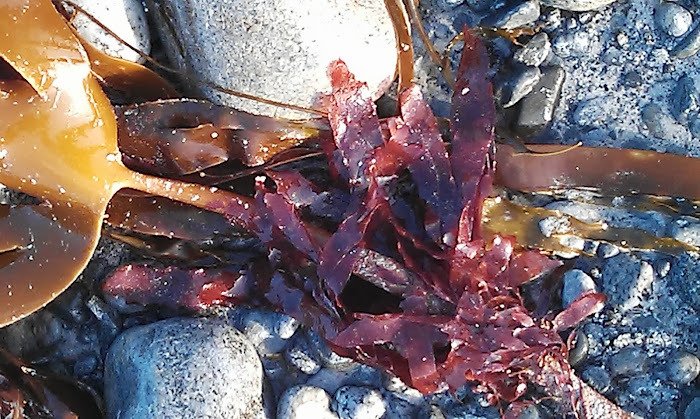 If you want to ring the seaweed flavour changes and like the colour red, use finely ground dulse which is available from Mara Seaweed or Atlantic Kitchen if you can’t pick your own. 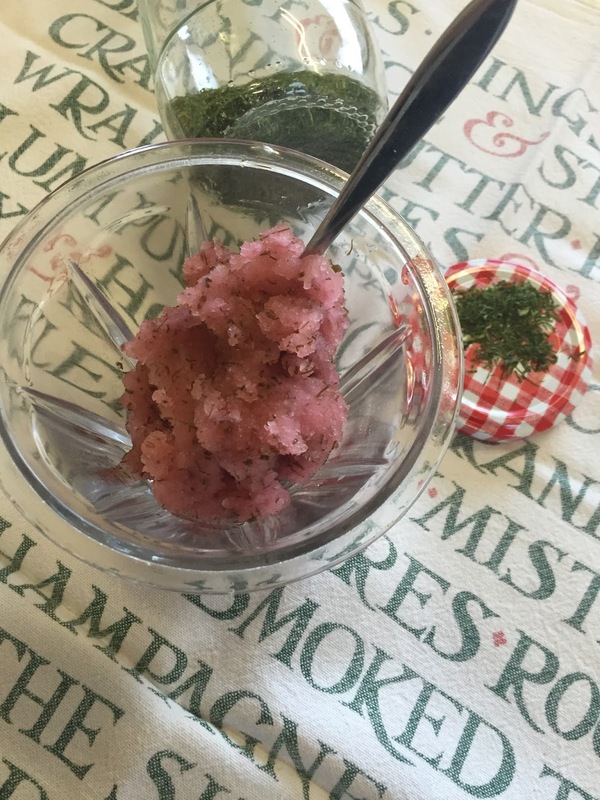 Pomegranate and Sea Lettuce Sorbet. Put the sea lettuce, caster sugar and water in a pan over a low heat and cook until the sugar has dissolved. Boil briefly until you have thick syrup. Cool completely. Add the pomegranate juice to the cooled sea lettuce sugar syrup and mix well. Pour into an ice-cream machine* and churn until frozen.